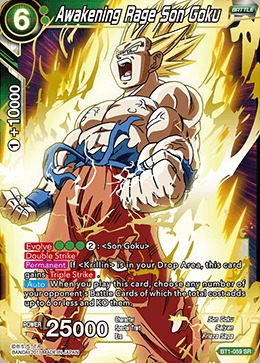 [Permanent] If is in your Drop Area, this card gains [Triple Strike]. 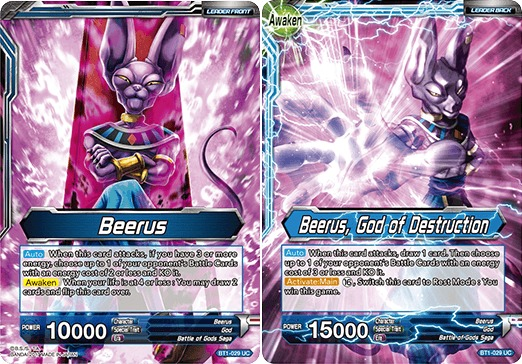 Card Name: Beerus // Beerus, God of Destruction | Card Number: BT1-029 | Character: Beerus | Color: Blue | Combo Energy: | Combo Power: | Condition: | Energy(Color Cost): | Era: Battle of Gods Saga | Power: 10000 // 15000 | Rarity: UC | Set Name: Series 1 Booster Galactic Battle | Skill: [Auto] When this card attacks, if you have 3 or more energy, choose up to 1 of your opponent's Battle Cards with an energy cost of 2 or less and KO it. 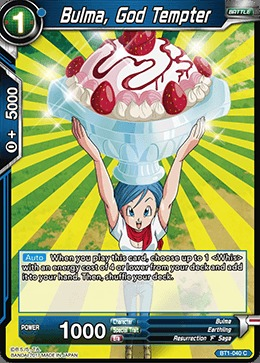 [Auto] When this card attacks, draw 1 card. 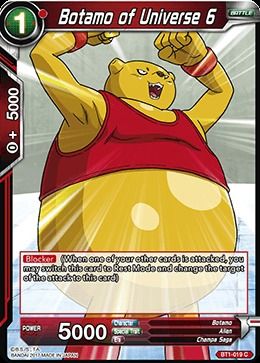 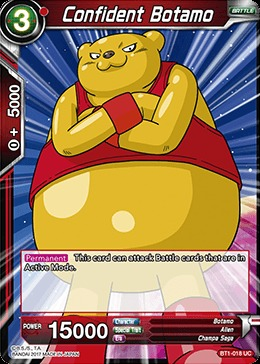 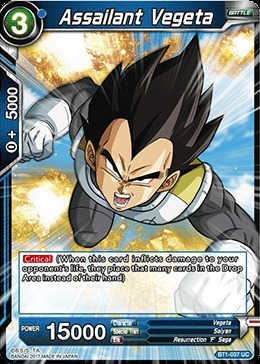 Then choose up to 1 of your opponent's Battle Cards with an energy cost of 3 or less and KO it. 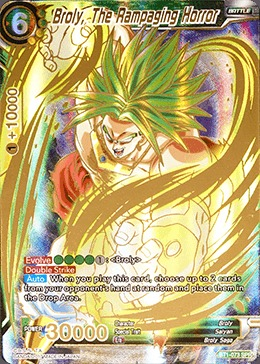 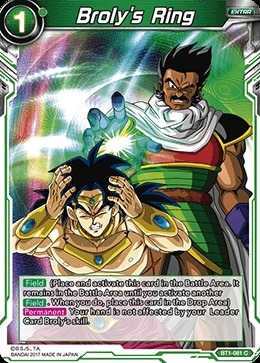 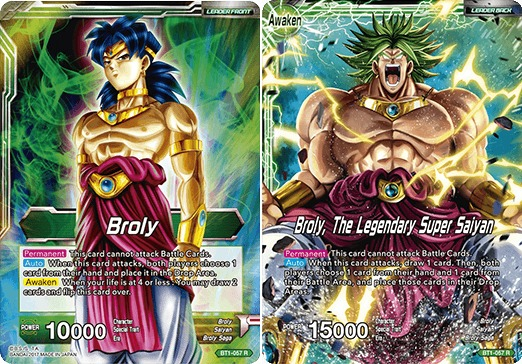 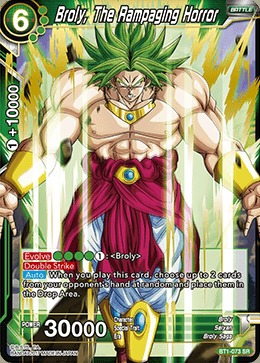 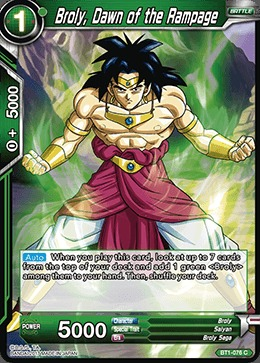 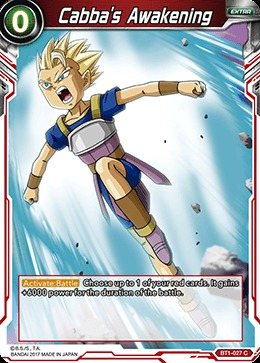 Card Name: Broly // Broly, The Legendary Super Saiyan | Card Number: BT1-057 | Character: Broly | Color: Green | Combo Energy: | Combo Power: | Condition: | Energy(Color Cost): | Era: Broly Saga | Power: 10000 // 15000 | Rarity: R | Set Name: Series 1 Booster Galactic Battle | Skill: [Permanent] This card cannot attack Battle Cards. 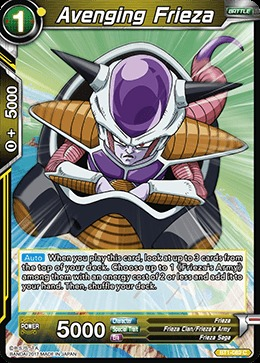 [Auto] When this card attacks, both players choose 1 card from their hand and place it in the Drop Area. 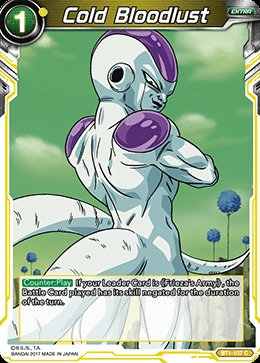 [Permanent] This card cannot attack Battle Cards. 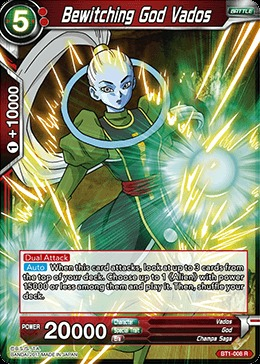 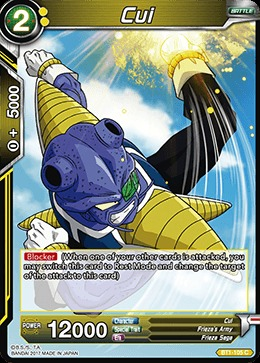 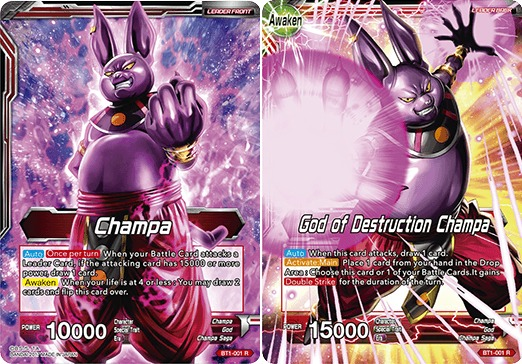 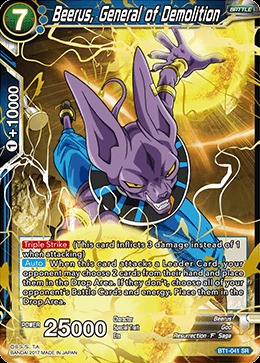 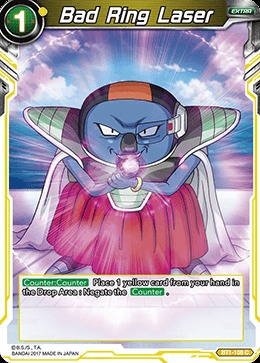 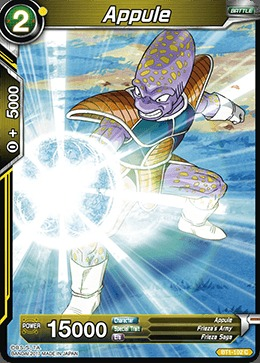 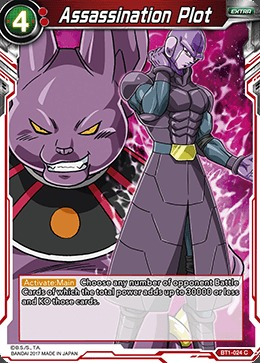 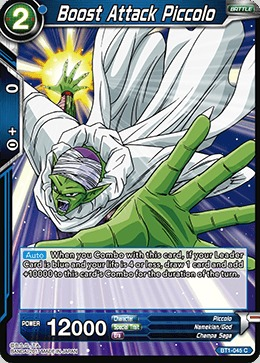 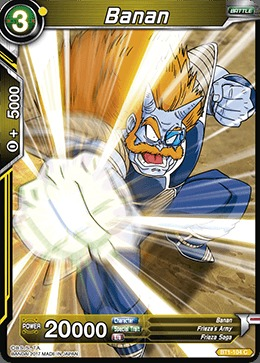 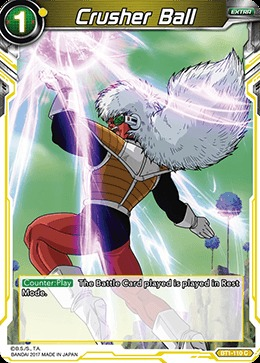 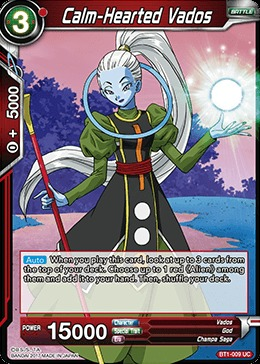 Card Name: Champa // God of Destruction Champa | Card Number: BT1-001 | Character: Champa | Color: Red | Combo Energy: | Combo Power: | Condition: | Energy(Color Cost): | Era: Champa Saga | Power: 10000 // 15000 | Rarity: R | Set Name: Series 1 Booster Galactic Battle | Skill: [Auto] [Once per turn] When your Battle Card attacks a Leader Card, if the attacking card has 15000 or more power, draw 1 card.